Information on the science of successful learning. The GTC Resource library full of learning activities and media. The self-paced Body Language module. The self-paced NIC Test Prep module. A community of practice for you to share questions, ideas, and resources with other novice interpreters. Tips for finding an ASL coach and an interpreter mentor. A self-guided online module on service learning to build relationships with deaf people in your area. A guidebook with ideas for developing a supervised interpreting placement. 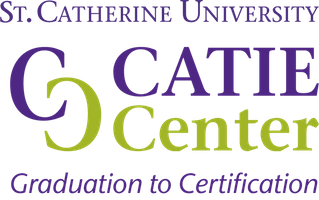 By registering, you will receive monthly updates from the CATIE Center on resource development as well as suggestions for professional development. By submitting this form and registering for the GTC Journey track, you are agreeing to have the CATIE Center contact you via email to share information and resources with you.